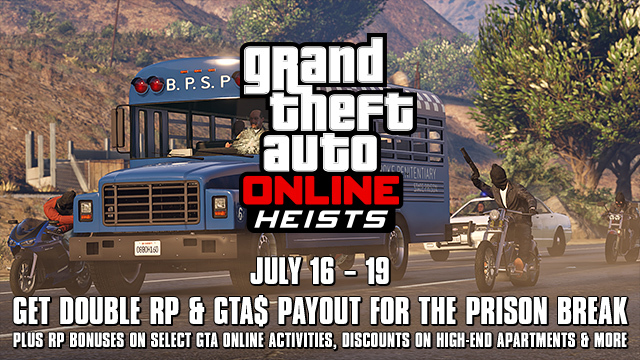 Stay tuned for more updates on this developing situation over the next few days, including some fierce tactics to maximize your payouts in The Prison Break Heist and special limited-time price reductions on select gear and vehicles to be announced at the Rockstar Games Twitter, Facebook and Instagram. Awesome! Join the fun in the forums! Yes, I do not believe that the links are the problem. Unfortunately, it appears to be my laptop. Or at least a program or programs that are or are not running on it. Unfortunately, I think it is my laptop. There have been numerous times over the last couple of years when I have had similar problems on different websites. Even when I do a Google search, if I try to click on any of the resulting links - blank page. Not a case of page not found, just a blank page. Even with links in emails when I try to join an online community such as this one. But I am sure it is nothing that cannot be fixed courtesy of a short, sharp reprogramming with a large rubber mallet. I have one out in the boot of the car. Only one I have a problem with is Facebook. Even the link from Rockstar's website leads to "page not found". If you do not see any of them they may be blocked on your network. Yes, I thought it might be something like that. Once again, thank you for the confirmation. Unfortunately, I seem to be unable to access any Rockstar social media site. Every link I have clicked on, both here and elsewhere has taken me straight to a blank page. I think my laptop has issues. Stick with Rockstar's social media. The small 1-day bonuses aren't worth a whole news article. I have been reading the news story about the Prison Break Heist Double Score Weekend. 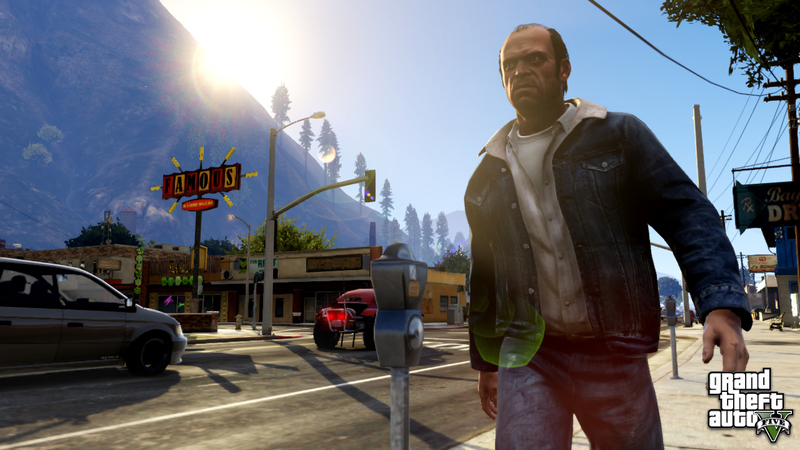 It says that further updates will be announced on the Rockstarâ��s Twitter, Facebook and Instagram accounts. Will those updates also be published here? Or does the nature of those updates make it impractical to do so? Prison Break Heist Double Score Weekend - Another GTAO bonus weekend because why not? Rockstar is offering some sweet deals involving the second heist: Prison Break.